N Scale Kits are tooling the AP57 spine car. TTX run these cars as All-Purpose 2-28' /1-57' Cars in the TTRX series 360000-361116, built by Trinity in 1998-99 in TTX class RAF30a. The N Scale Kit cars will be cast in metal, and therefore have a very low centre of gravity and sufficient weight to track very well even when not loaded. The grabs, steps and walkways will be produced in etched stainless steel. The pre production spines were displayed at the NSE Convention, Roanoke in June 2014. 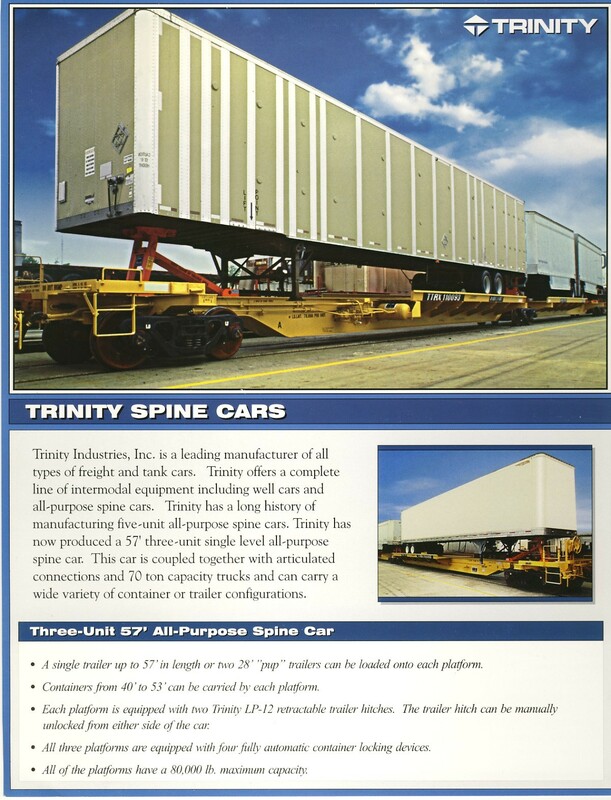 N Scale Kits are producing kits to replicate the Trinity cars. However, we do anticipate producing additonal parts to replicate the similar, but with detailed differences of braking etc., for the National Steel cars, TTRX 370000-371149, built by NSC 1998-99 and TTRX 552000-552499, built 2004-05 in TTX class NAF30a. We hope that collapsible hitches in etched metal will also be available for these cars.